Vincent Encomio, PhD, Research Scientist, spearheads the effort to restore the oyster population devastated by fresh-water discharges into the estuary that began in 2005 and continues today! The oysters are critical to cleaning the water and providing habitat and food for up to 300 estuarine species. 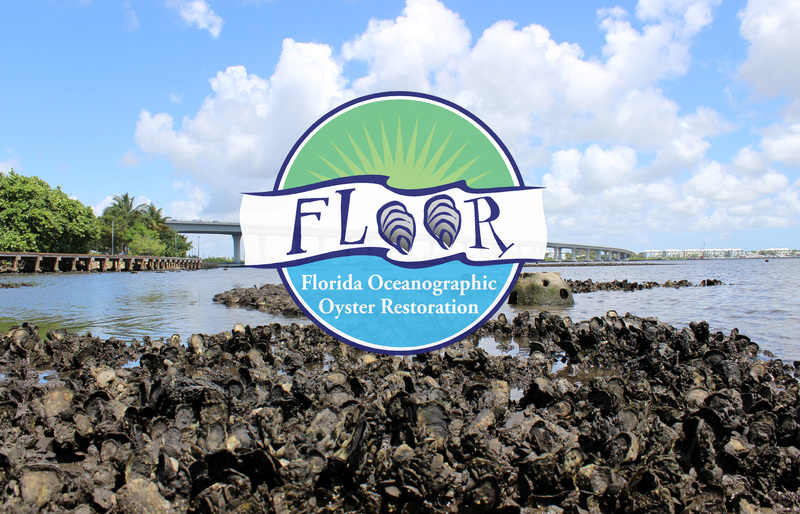 The FLOOR (Florida Oceanographic Oyster Restoration) program actively engages the public in restoring oyster reef habitat. 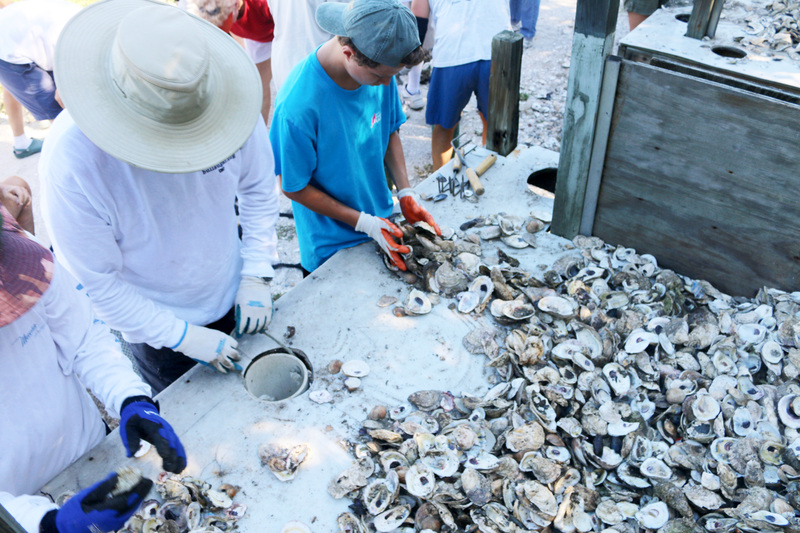 With the aid of thousands of volunteers, FLOOR restores oyster habitat by recycling shell, constructing reefs and growing oysters. They filter and clean water - A single adult oyster can filter up to 50 gallons of water per day! Over the last 60+ years, the St. Lucie River has lost over 80% of its oyster reef habitat, primarily due to poor water quality and low salinity levels. Weekly shell collections from local partner restaurants generate nearly 2.5 tons of oyster shell per month. The shells are quarantined and then bagged by staff and volunteers and deployed to create new oyster-shell reefs in the Indian River Lagoon and St. Lucie River estuaries. Their progress is monitored using cutting-edge acoustic technology. These efforts help restore important oyster habitat, leading to long-term and significant improvements to the health of our waterways. 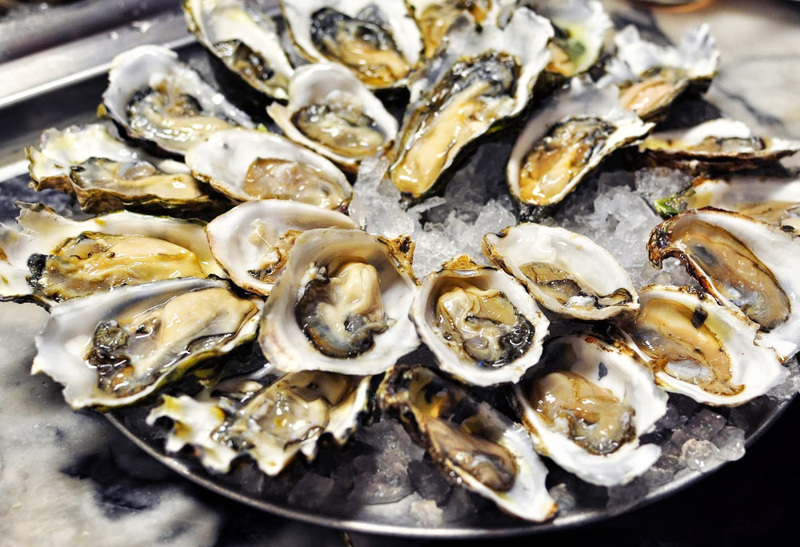 How do we use shucked shell? 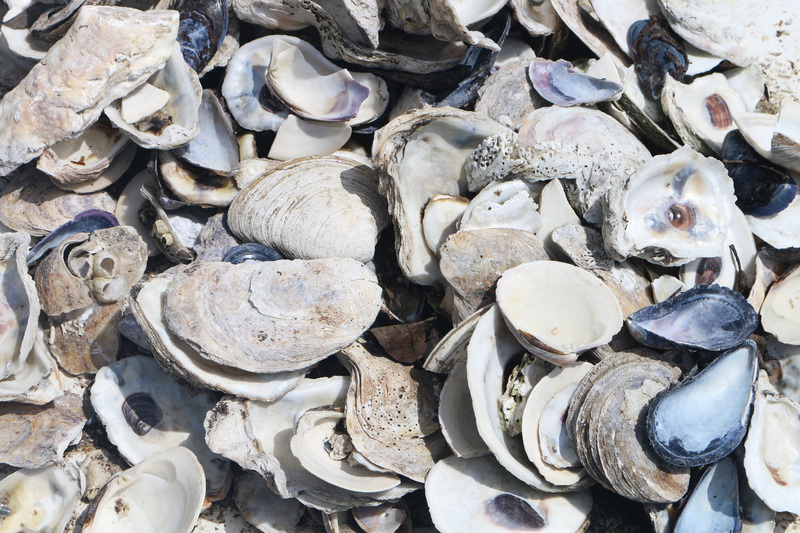 Used, shucked shells are the foundation of oyster reef construction. Shells, particularly oyster shells, are the most ideal substrate upon which new baby oysters (“spat”) glue themselves. This is how natural oyster reefs form, as spat glue themselves to existing shell, from both live and dead oysters, in our estuaries. By placing shell recycled from restaurants on the sea floor, we are jump-starting the process of creating a new oyster reef, while at the same time saving this precious resource from the landfill. 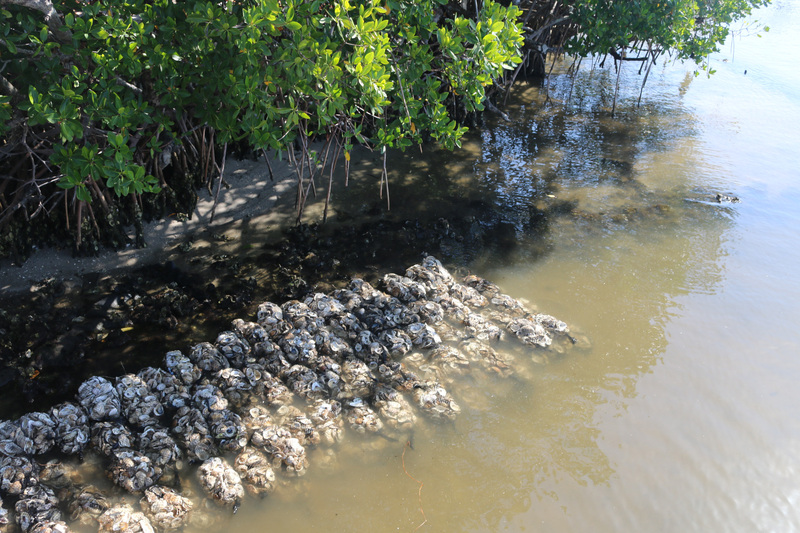 Available shell is often the most limiting factor in restoring oyster reefs, and so recycling used shell ensures a consistent source of substrate for oyster restoration. 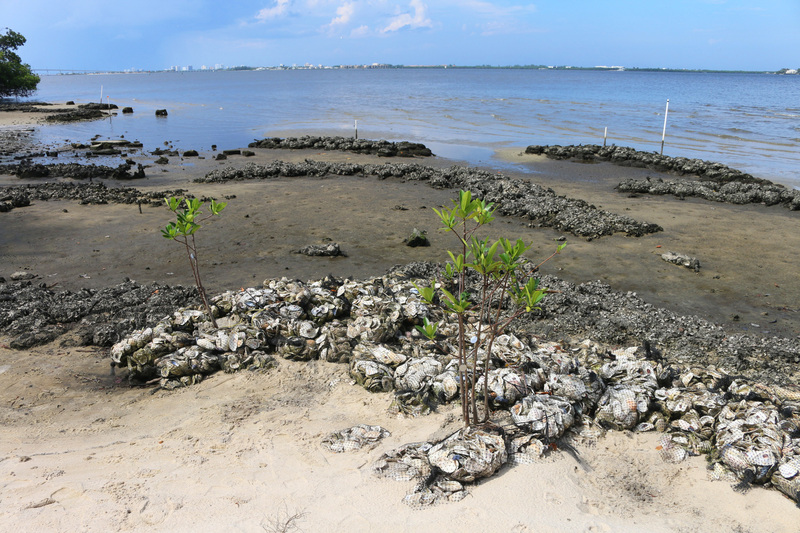 To date, Florida Oceanographic Society has restored nearly 60,000 square feet of oyster reefs in the St. Lucie Estuary and Indian River Lagoon. This was made possible by the help of over 2,400 volunteers and over 6,000 volunteer hours. FLOOR monitors the development and health of natural and constructed oyster reefs to evaluate the success of our oyster restoration projects. We measure growth and survival of oysters, along with biodiversity of oyster reefs. 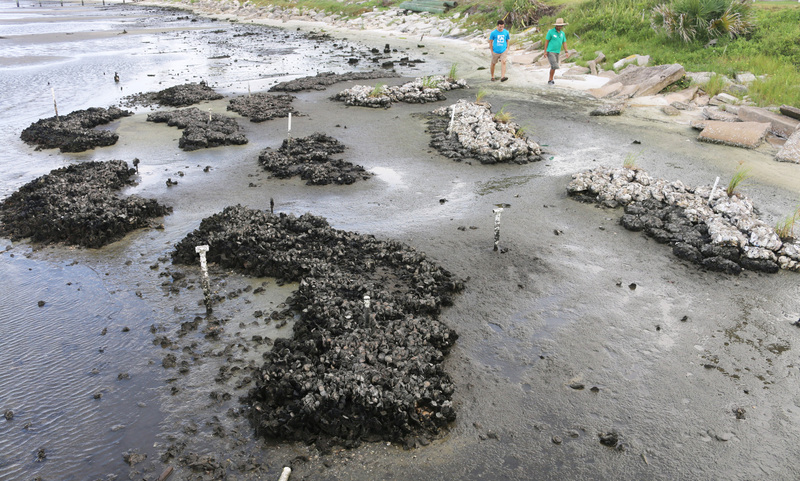 We also compare different restoration methods (such as larval seeding) on reef success. 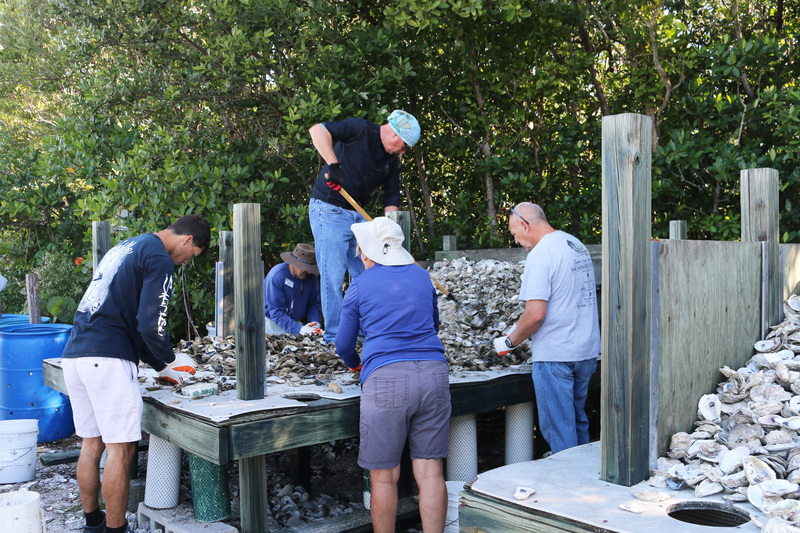 Local citizens in Martin County have volunteers to grow oysters off their docks which are eventually planted at historic reef sites in the St. Lucie River and Indian River Lagoon. 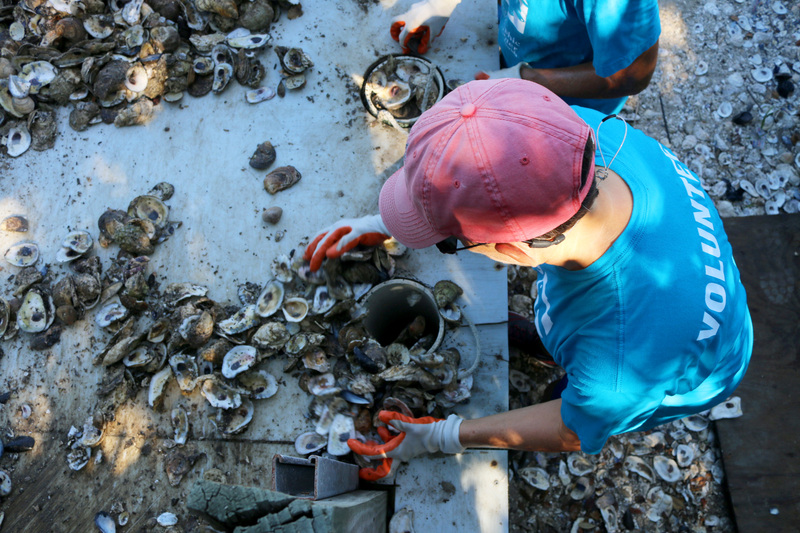 To date, over 800,000 oysters have been restored to the St. Lucie River through this program. The success of the FL.O.O.R. program relies on extensive volunteer support and community engagement. 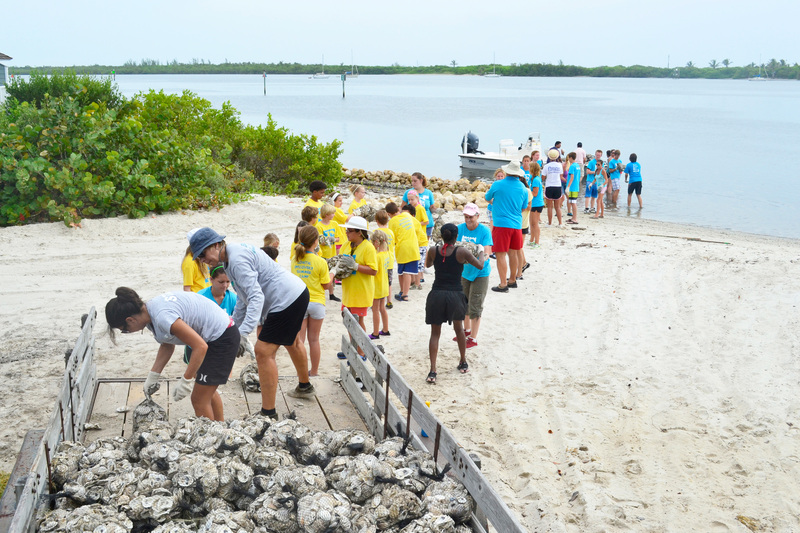 Help us continue our mission to "inspire environmental stewardship of Florida's coastal ecosystems through education, research and advocacy." Please wear closed-toe shoes to all events, and be prepared to enter the water up to waist deep at the reef deployments. Gloves, water, and snacks are provided. To register as a volunteer with Florida Oceanographic, please complete our online volunteer application. If you have any questions please contact Rosemary Badger at RBadger@FloridaOcean.org or call 772-225-0505 ext. 109.